The Monster is open for the 2009 Season. 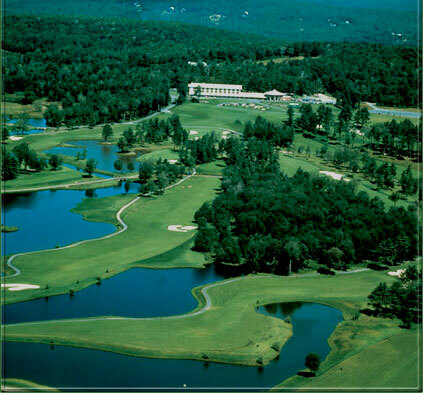 The Concord Resort & Golf Club, is the home of the World Famous "Monster" Golf Course rated by Golf Digest as one of America's 100 Greatest Golf Courses. At 7,650 yards from the "Monster Tees", this par 72 challenges every player with length, extensive bunkering, and a variety of water hazards. The Joseph Finger, Jimmy Demaret, and Jackie Burke, Jr. design offers a consistent World Class golf experience. The "Monster" features full service pro shop, driving range, overnight accommodations, meeting rooms, restaurant and bar, large catering and banquet facilities, individual and corporate memberships, golf school, and a PGA professional staff for all golf instruction programs. Overnight and Play & Stay guests are accommodated in one of our 42 spacious guest rooms with half of the rooms overlooking the breathtaking sunsets of the Catskill Mountains in our Monster Clubhouse.